On Thursday, the Philadelphia Eagles and rookie Keenan Clayton agreed on a four-year contract. Clayton becomes the seventh rookie out of a league-high 13 picks to sign his rookie contract. 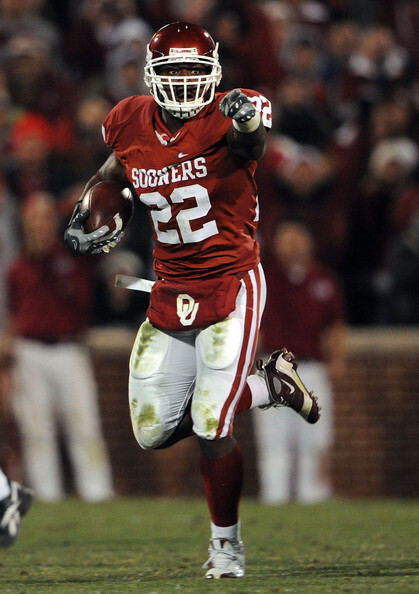 The former Oklahoma Sooner was a fourth-round pick (121st overall) of the Eagles in the 2010 NFL Draft. As a senior he earned honorable All-Big 12 selection as he compiled 75 tackles, two interceptions, two forced fumbles and 1.5 sacks. His most impressive season came as a junior where he set a school record with six forced fumbles and had the second most pass deflections by a linebacker with nine. While at Oklahoma, he converted from safety to a linebacker, which makes him very versatile for defensive coordinator Sean McDermott. With the cover skills that he picked up from playing safety, Clayton can be used at either strong-side linebacker to cover tight ends or weak-side linebacker where he would potentially cover running backs and blitz the quarterback. Despite his ability to cover, Clayton does not possess the ideal size for a NFL linebacker at 6-1, 229-pounds. If he is going to be a player in this league, he must add on some bulk so he can be physical at the point of attack, not get knocked around and support in the running game. Still at some point this season, do not be surprised if Clayton is used as the linebacker in nickel and dime packages due to his ability to cover. Moreover, he should be able to immediately contribute to the Eagles on special teams. Since Clayton signed his rookie deal, the Eagles were forced to make some transactions to trim the roster down to 80 players. Unfortunately, the Eagles can only have 80 players heading to training camp at Leigh University according to NFL Rules [unsigned rookies do not count toward that number]. The Eagles announced that safety Marlin Jackson [ruptured his Achilles tendon in practice last week] would be placed on injured reserved for the third time in three seasons. Ultimately ending his season before even taking a single snap with the club. In addition, the Eagles released running back Keithon Flemming, quarterback Joey Elliott, fullback Chris Zardas and wide receiver Pat Simonds.